The biggest contributor major the budget surplus registered in 2016 was from the controversial passport scheme, official statistics show. A total of €163.5 million was derived from the so-called Individual Investor Programme, according to a report released today from the National Statistics Office on adjustments it had made to government finances. Malta registered a surplus of €112.9 million in 2016. 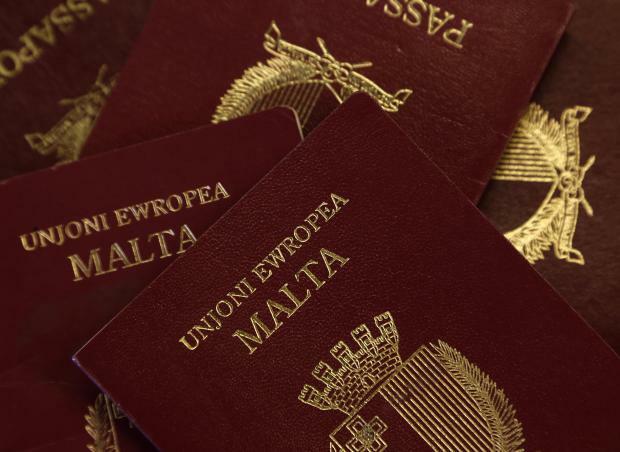 The cash-for-passport scheme – introduced just months into Labour's return to power in 2013 – is still shrouded in secret with the government refusing to publish the names of those buying Maltese citizenship, which puts them on par with Maltese and EU citizens. The NSO explained there were extra budgetary units of €183.4 million, the bulk of which came from setting up of the National Development and Social Fund (NDSF). With these adjustments, the government's consolidated fund registered a surplus of €8.9 million. The NDSF receives 70 per cent of the contributions under the Individual Investor Programme, which was set up by the government in July 2016. Prior to 2016, the proceeds were temporarily accumulated in a Treasury Clearance Fund account and were recorded as revenue since 2014. Upon the setting up of the NDSF in 2016, IIP contributions started featuring in the Fund. A transfer between the TCF account and the NDSF was necessary, resulting in an equal expenditure and revenue transaction of €43.5 million, with no impact on the fiscal balance for 2016. In 2016, the general government registered a surplus of €112.9 million, equivalent to 1.1 per cent of GDP, shifting from a deficit of €104.1 million recorded in the previous year.